Can you believe that 2016 is almost over? Are you thinking about New Year’s Eve yet? I love hosting a New Year’s Eve party and celebrating the past year while looking forward to next year! 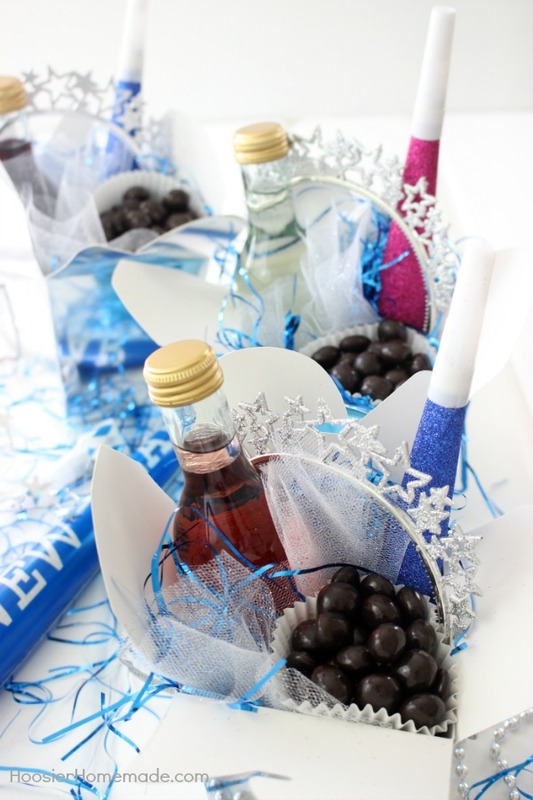 You guys know I love to make party favors- and New Year’s is no different! In the past I have made countdown treat bags for the kiddos, but this year I wanted to create favors for the adults- filled with my favorite celebratory things! 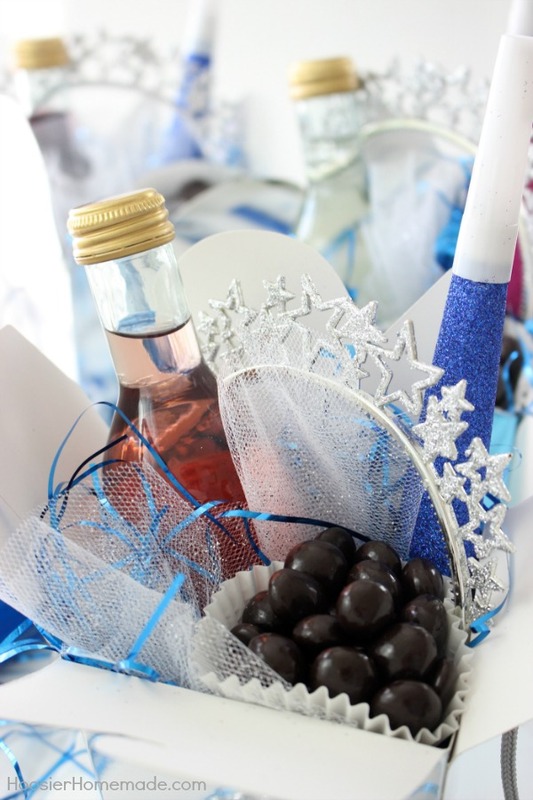 There is no better way to celebrate than with wine and chocolate- such a perfect way to ring in the New Year! Brookside Dark Chocolates is my favorite treat after a hard day. Dark chocolate is my favorite, and the addition of fruit means it is a healthy treat, right?! Add in a glass of wine and my night is made! Have you ever tried the dark chocolate and exotic fruit combination? It’s heavenly! I love the pomegranate flavor with white wine and the acai & blueberry flavors with red. I love the combinations of flavors or how well the flavors complement each other. I am so excited to celebrate with friends and family and share my favorite wine and chocolates with them. 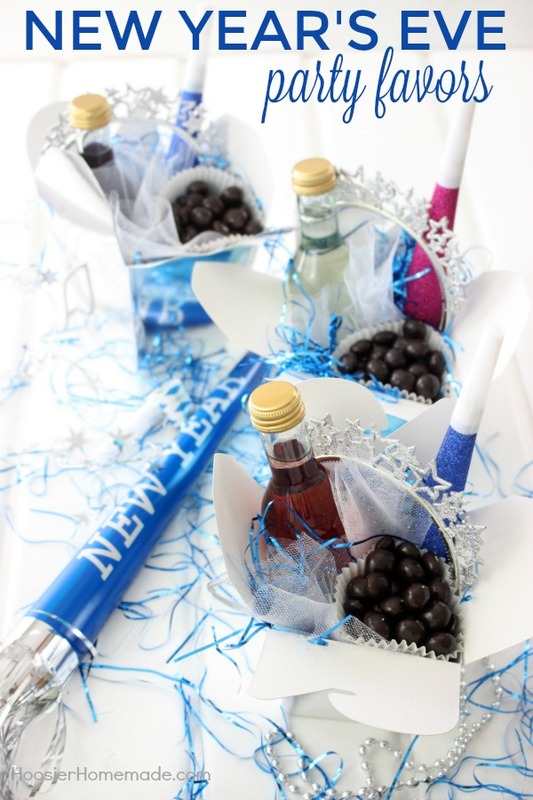 However you celebrate this New Year’s think about putting together some fun favors- everyone will love them! Party favors – horns, noise makers, necklaces, etc. 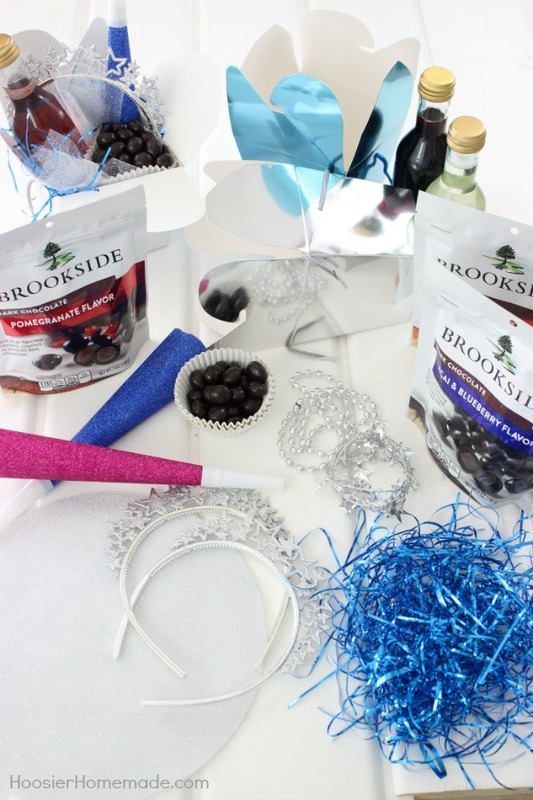 What do you love to pair Brookside Dark Chocolates with? Are you making New Year’s favorites this year? What will you put inside? Great idea and very festive! 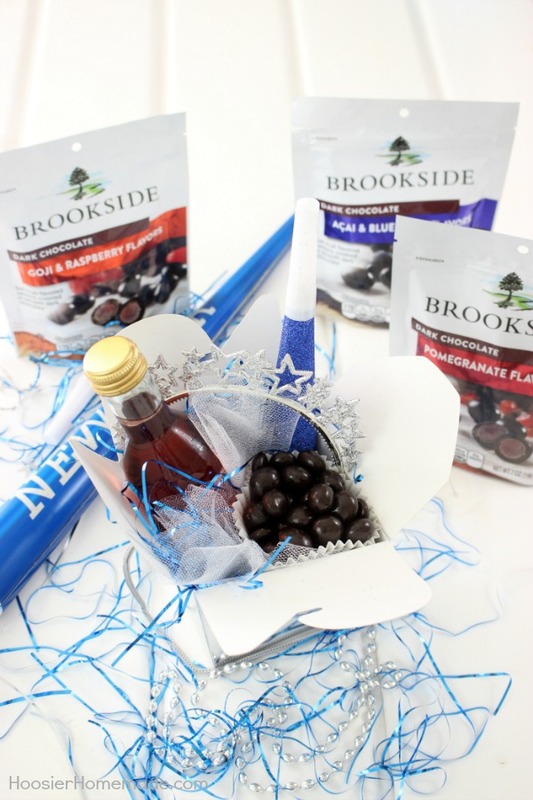 I love Brookside chocolates, yes the pom is too yummy!! Can I come to your party? So excited you like the party favors! Happy New Year!